Dirk Nowitzki came into the league with nobody knowing who he was. He was a tall, skinny European who looks like someone who wouldn’t last a few games in the NBA. Right after being drafted, he was dealt for Robert “Tractor” Traylor, which is one of the most lopsided deals in league history when looking back on it. 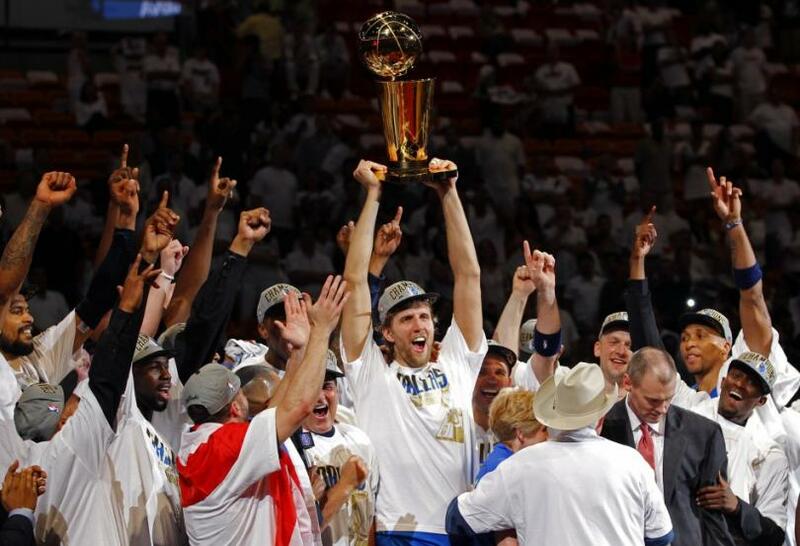 Nowitzki has carved a great career and is known as one of the greatest NBA players ever. Let’s dive into his game and how he played the game of basketball. 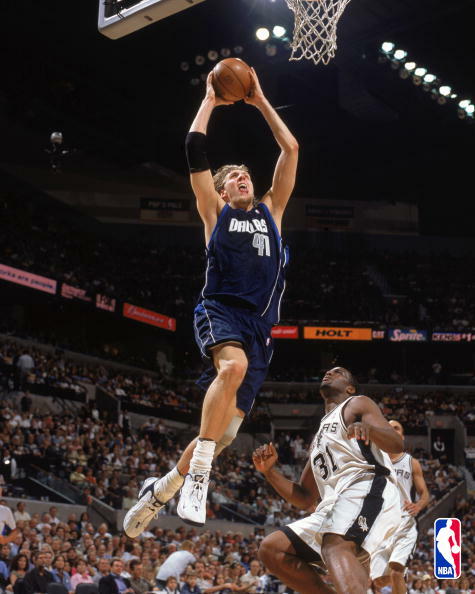 When talking about Dirk’s game, it’s impossible not to mention his greatest talent, putting the ball into the hoop. He can score from almost anywhere on the court. His signature one legged fade away has haunted countless opponents and is virtually unblockable. Due to his height, he can post up down low, making him a nightmare to defend. His outside shooting has a lot of basketball fans comparing him to the legend, Larry Bird. Being 7 feet and shooting accurately from 3 point land, you can’t imagine how opponents plan for him as there are but a few big men wo can guard him outside, and putting smaller defenders allows him to operate inside. European players have a reputation of being on the soft side. Nowitzki may have not been known as a bruiser, however he has proven that he does not mind banging bodies inside when grabbing rebounds. Somewhat surprising because of his playing style, Dirk is a very good rebounder despite his thin frame. His long arms and uncanny anticipation allows him to crash the boards very well, especially on the defensive end. The thing that led to most comparisons to Larry Bird is his ability to hit outside shots. 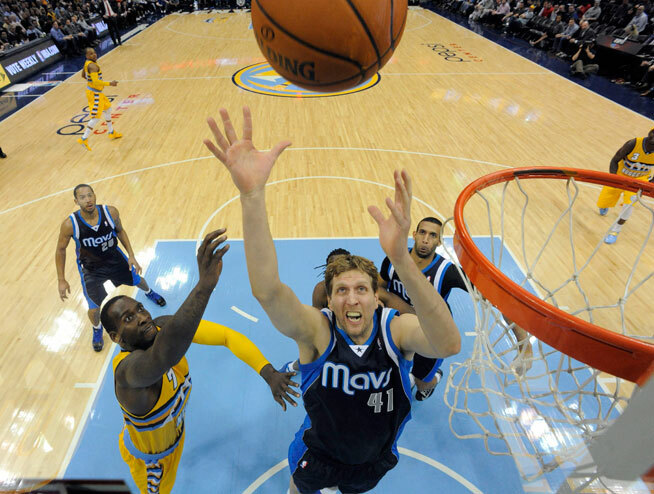 However there is more to it than just that, as Nowitzki has made countless game altering shots, just like Larry Legend. When you need a bucket in the crunch time, everybody knows that you will go to Dirk for that go ahead basket. He has the ability to drown out all the noise and sink those pressure packed shots to help his team. Throughout his long career, Dirk has gone from being labeled as a choker and being soft, to shattering those labels and silencing his critics. By leading the Dallas Mavericks to their lone title, against the LeBron James led Miami Heat no less, he has proven that he is not just a typical European NBA player and that he has the goods to lead and NBA team to the promised land. He may be the greatest European player to ever set foot in the NBA and will surely be inducted in to the basketball Hall of Fame once he retires.